Gunmaster 24-Piece Punch Set | BUDK.com - Knives & Swords At The Lowest Prices! If you are searching for quality gunsmithing tools, the Gunmaster 24-Piece Punch Set is the perfect set for you. Manufactured using some of the finest materials available, this set of tools is guaranteed to be up to the task and last for years and years. 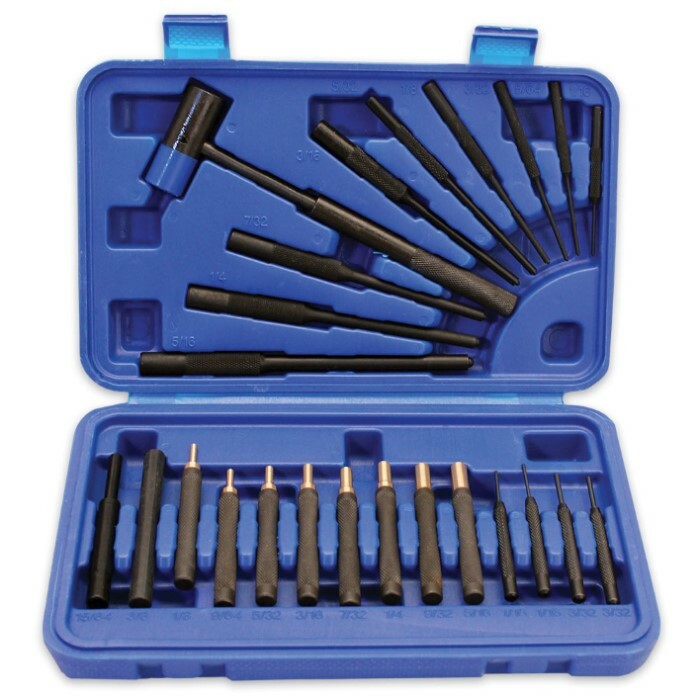 The set includes six brass tip drive pin punches (1/8, 9/64, 7/32, 1/4, 9/32, 5/16 inches), four steel tip drive tip punches (2 x 1/16 and 2 x 3/32 inch), two nylon drive punches (15/64, 3/8 inch), nine steel roll pin punches (5/16, 1/4, 7/32, 3/16, 5/32, 1/8, 3/32, 5/64, 1/16 inches) and a reversible hammer with nylon and steel heads. 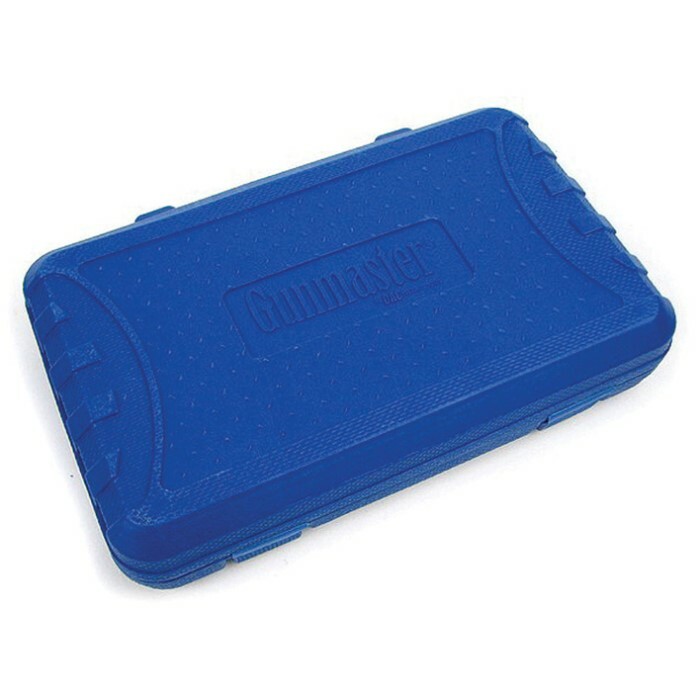 All of the pieces snap tightly into place in a heavy-duty carrying case.